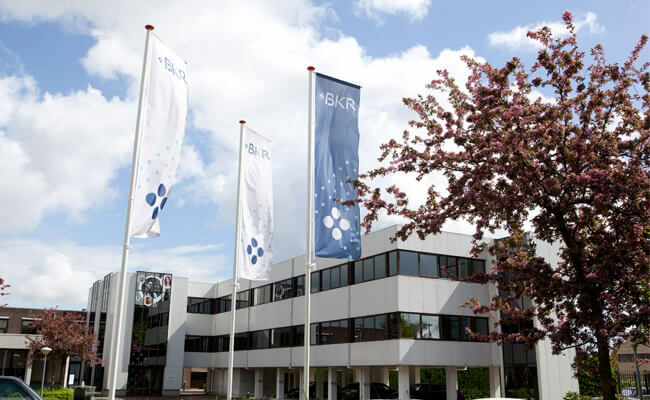 Bureau Krediet Registratie (BKR) is a non-profit credit registration agency that manages the credit data of millions of consumers in the Netherlands. BKR registers loans agreed with banks and other loan providers so that companies can check up on customer credit-worthiness. Banks and other credit providers use BKR to check if clients are financially able to take on major commitments such as a large mortgage or other loan. 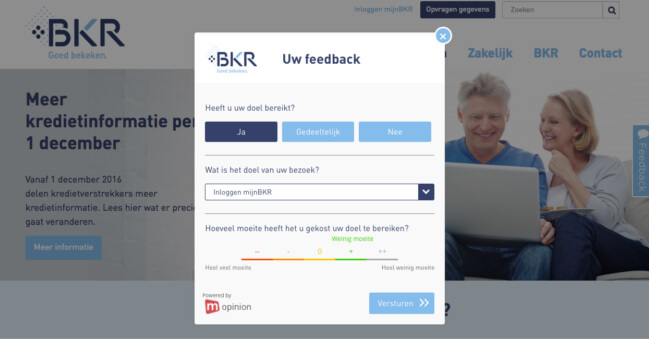 How important is online customer feedback to BKR? BKR has a large customer base, which consists of nearly nine million consumers. These consumers can regularly view their credit information online, which means the website gets quite a lot of traffic via customers. Mopinion offers a total package when it comes to online feedback and is an experienced organisation. Their package enables us to collect and analyse feedback data, but also contains action management tools; an aspect of their software that we expect will be very advantageous. For example, using these tools we can categorise qualitative data using tags, which will make it easier to obtain a good overview of all open-ended answers. Additionally, the tools make it easier to share feedback data with colleagues and subsequently, take action. What do you hope to achieve by using Mopinion’s software? BKR wants to capture deeper insights into the customer experience – particularly during the online application process and on our FAQ pages. They also use the feedback forms to monitor whether the information on our website is sufficient and answers all the questions their customers have. Using these rich insights, we can make improvements to our website and in our processes to ensure the customer’s journey is a smooth one.